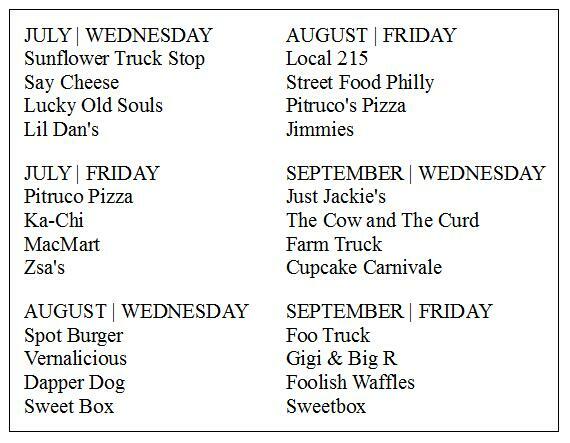 There was a point last year when I felt like I knew all the food trucks in Philly. People asked us for opinions and we actually had one. Today? Not so much. There are so. many. food trucks on the streets of Philadelphia now, it's tough to keep up. I'm told we pale in comparison to other cities, but don't care. Philly has more than its fair share of great mobile food. I have the privilege of working close to The Porch at 30th Street so each Wednesday and Friday my co-workers and I can catch up on some of the new and old (by "old" I mean, like, a year) food trucks that visit for lunch. The Porch, by the way, is one of the absolute best concepts brought to life in Philadelphia lately. 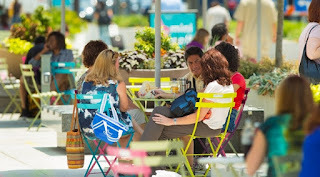 Food, entertainment, nice places to sit, zumba classes, special events, gorgeous flowers... right next to 30th Street Station. Kudos to the University City District, with significant support from the William Penn Foundation, for pulling it off. Whether you can stop by during lunch (take the MFL line up if you work in Center City), in the evening on your way to/from a train or on the weekend, it's worth checking out. Get ready for a series of quick posts over the next week on the food trucks I've tried lately at The Porch, starting tomorrow with MacMart and Jimmies Cupcakes. 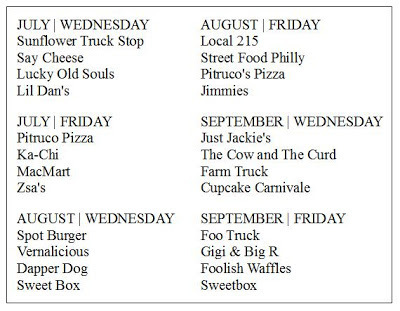 In the meantime, here's the schedule of trucks at The Porch at 30th Street through September... It's also listed online with the full schedule of events, or you can follow The Porch on Twitter and Facebook. Any experiences to share with the trucks lined up for this summer?